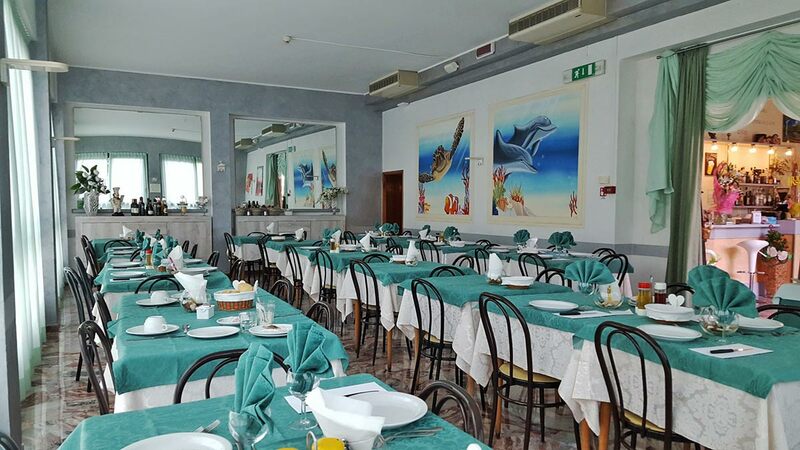 Idyllically set just in the heart of Marina Centro di Rimini, Hotel Adelphi is situated 100 metres far from both the sea and Rimini’s most beautiful promenade, Viale Vespucci, that is scattered with elegant shops and trendy clubs. 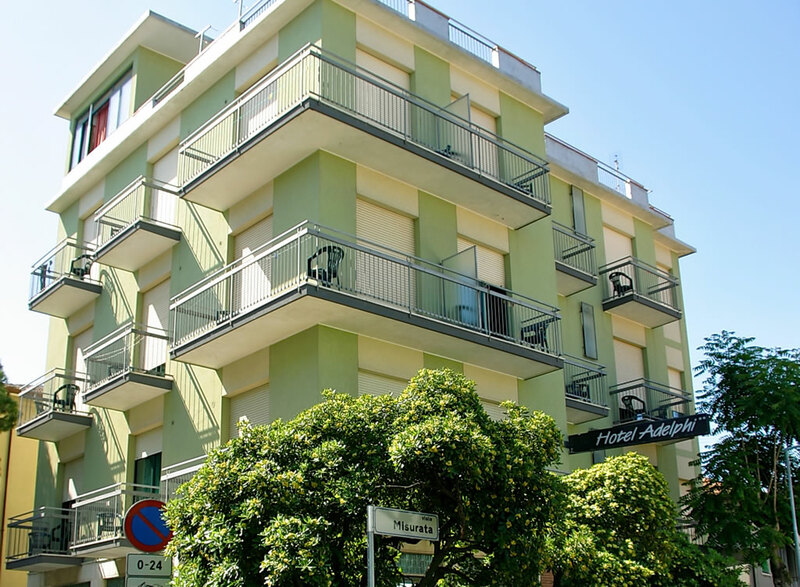 It is located only 50 metres far from the lush Parco Cervi, whose beautiful walk gives tourists the possibility to reach the old town in just 15 minutes. 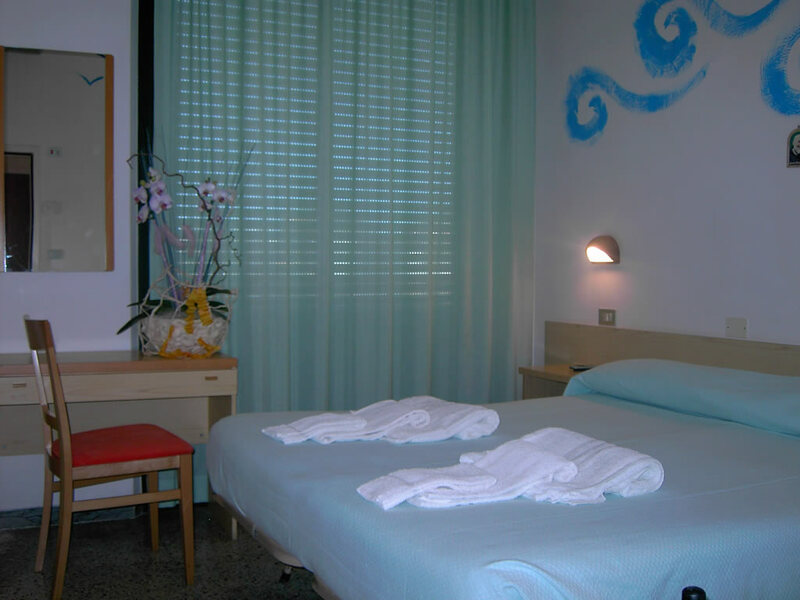 Enza and Pino welcome guests with the utmost warmth and hospitality, and give them the possibility to spend pleasant holidays here while feeling comfortable and really at ease. 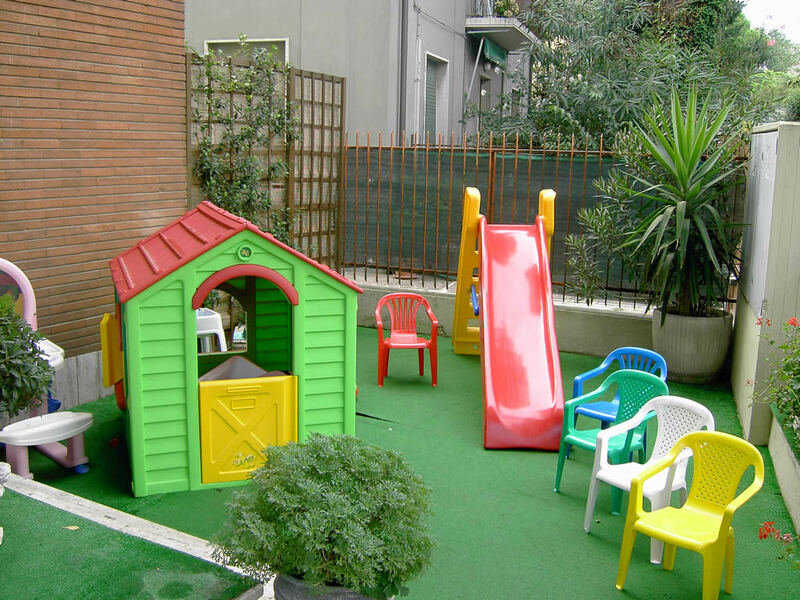 In our 2-star hotel in Marina Centro of Rimini families are so many dedicated facilities, spaces reserved for the game and a lot of attention to the needs of children, even in the kitchen where there are proposals for baby menu to pander to the tastes and needs of children. The Adelphi hotel is a real family hotel where you can enjoy incredible benefits such as free admission to the water park Beach Village and an umbrella on the beach guaranteed for the duration of your stay. I don’t know what makes it so special: Unique scents and aromas, intense feelings and emotions and bright colours that make you feel totally welcome and at home. The ultimate hospitality experience. A big thank you to Pino and Enza and all staff of Hotel Adelphi. "Like being in a big family..."
I have practically spent almost all my holidays together with Enza and Pino…there’s no place like Hotel Adelphi! Exquisite cuisine, intimate spaces, clean and friendly bedrooms. There is nothing to complain about... just like a second home. 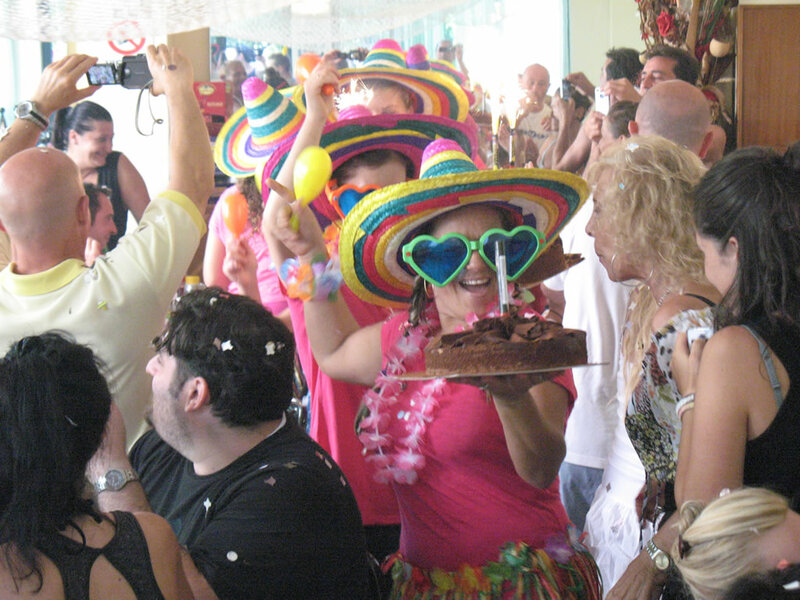 Spend pleasant holidays based on total fun at our hotel! Enjoy free admission to Beach Village Aqua Park in Riccione, that is situated a very short distance from the beach. Provided with 3 large pools, funny water chutes, mini club and entertainment, Beach Village gives guests the possibility to spend unforgettable moments in this fun and cheerful place. 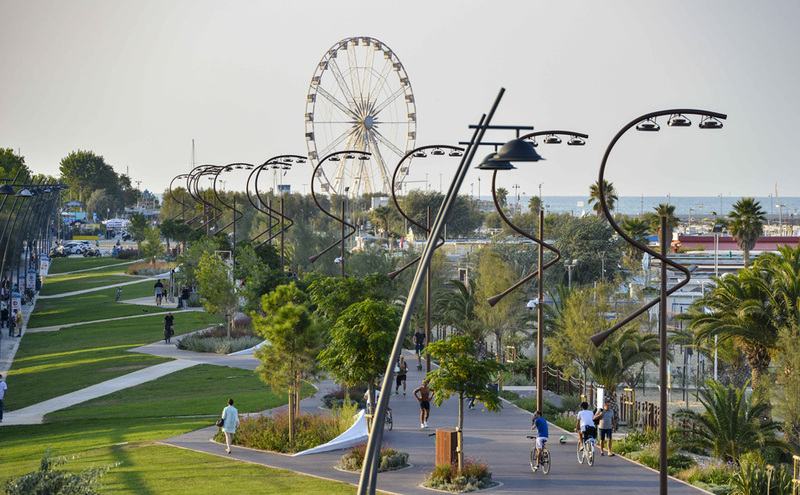 Guests will have the possibility to enjoy free admission to the park, as well as to take advantage of dedicated shuttle buses that are running all day long.